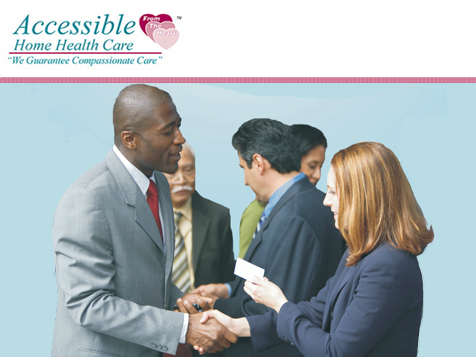 How do I buy an Accessible Home Health Care Franchise? Franchise Information for Lucrative Home Health Care Territories. Why settle for a Non-Medical/staffing franchise with a restricted revenue stream? DON’T LIMIT YOUR SUCCESS! What do you need? Just the drive to succeed! Healthcare Experience Not Required! Join our franchise team to start reaping the benefits of an unlimited revenue stream. Open Accessible Home Health Care in any of these available states: AL, AK, AZ, AR, CO, DE, FL, GA, ID, IA, KS, KY, ME, MA, MI, MO, MT, NE, NV, NH, NJ, NM, OH, OK, OR, PA, SC, TX, UT, VT, WV, WY, DC. State Licensing &Accreditation: Accessible provides full support for franchisees to obtain licenses and accreditation. 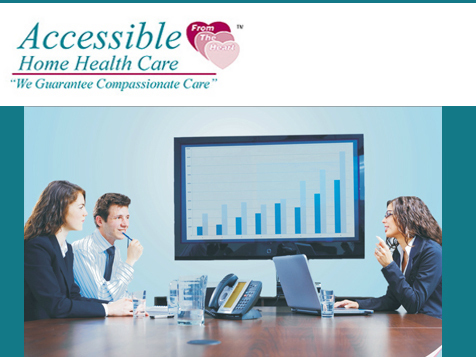 Operations Financing for your Franchise: Accessible provides receivable financing, helping youmanage cash flow pressures. Accessible Home Health Care is not currently active in our directory, but here are some other recommended selections for you to explore.